DALLAS – April 18, 2017 – The international non-profit organization Choki is now accepting applicants for its new European Volunteer Program for summer 2017. 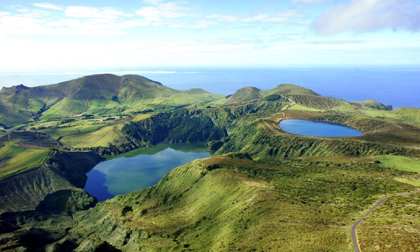 The program will invite selected applicants to Flores, of the Azores islands off the coast of Portugal, to work alongside community members, to stimulate economic opportunity and encourage natural preservation. Volunteers will have the opportunity to work on various culturally enriching projects from farming to art, micro businesses and international event planning. Flores is relatively small, with a population of about 4,000. Rich with natural beauty, the island is crawling with deep valleys, high peaks, endless rivers, waterfalls, and natural aesthetics. One of Choki’s goals is to re-establish Flores’ cultural identity through art and by creating micro industries that can stimulate economic growth. Choki will support devoted volunteers from across the world who want to stay temporarily in Flores and help drive in this mission. The application process is thorough, but selective. An applicant must be 18 years or older and the resident must have a plan for the stay including a value application. The selection of projects will be based on artistic skills/competency, innovation potential, contribution to the community and other expertise that could be of value. Upon selection, the volunteer will receive a contact person in Flores who will be their local host and help them transition into becoming a part of the island community. Volunteers will receive free accommodations and food during their stay, but will be responsible for all travel expenses. Choki has secured housing accommodations within the community, as well as a budget for food and other expenses. In addition, Choki will help find local resources needed to realize projects including reasonable material costs. Information about the Flores program is available at https://choki.org/passion- projects/flores/. Founded by Casey Hartnett, Choki is a nonprofit organization founded to protect the cultures and traditions of some of the most special places in the world that are under the threat of “globalization.” Through Choki’s support, beneficiaries will receive opportunities for human sustainability, security and empowerment. Choki wants to accomplish a world of “I believe,” with the purpose to share the beauty of traditional arts and culture with the world. Additional information is available at https://choki.org/.